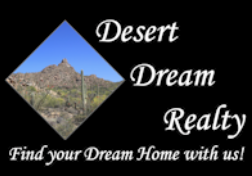 Down Payment & Closing Costs | Desert Dream Realty Cave Creek | 480-252-8300 | Find Your Dream Home with Us! Need mortgage assistance, but don't know where to turn? The links below are to the most current down payment and closing cost assistance programs offered in Maricopa County. To see more information about each program, click on the link below. Down payment assistance grant to use toward closing costs and down payment on a 30 year fixed rate loan for a new or existing home, condo, townhouse within Maricopa County. HOME Plus is an amazing down payment assistance program which was created to assist creditworthy renters who can afford a mortgage, but lack the funds for a down payment and/or closing costs. Qualified applicants may be able to obtain a 30 year fixed-rate mortgage loan with a non-repayable 0%-5% down payment assistance grant to use toward down payment and /or closing costs to buy a home.